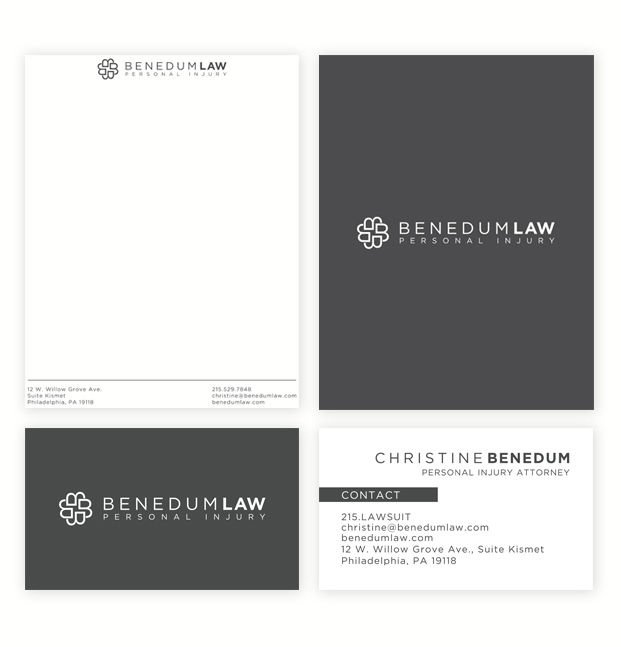 After a decade of working for a personal injury law firm, Christine Benedum was ready to branch out on her own and needed a brand and website design for her new firm in Chestnut Hill, Philadelphia. 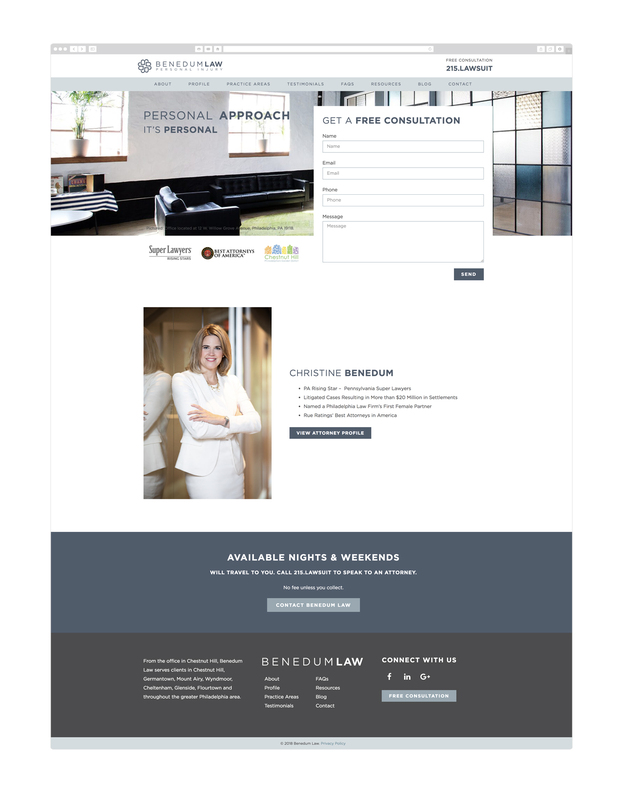 The modern style branding and custom website design will serve as a strong foundation for her marketing efforts moving forward. Wicky Design is a Philadelphia branding and web design studio dedicated to helping entrepreneurs start their own businesses. Are you ready to get a website that attracts the RIGHT clients? Learn the 5 things every great website should have by downloading our FREE guide.